Additional Info: Melissa Tardiff Dvorak, a full time professional, conservatory-trained harpist, is devoted to the magic of the harp, delighting her audience with a varied and distinctive repertoire, including music from the Baroque, Classical and Romantic periods; traditional Hebrew and Christian melodies; and an expansive selection of contemporary favorites. Melissa is an active soloist and chamber music musician in the Greater Washington DC area, performing frequently at locations including the US Supreme Court, US Department of State, the Kennedy Center, Myerhoff Symphony Hall, Strathmore Music Center, US Naval Academy, DAR Constitution Hall, the Georgetown Club, The Ritz Carlton and other area landmarks. Her recent orchestral appearances include Washington National Opera, National Philharmonic, Baltimore Symphony Orchestra, Maryland Symphony, Arlington Symphony, and Salisbury Symphony. Melissa was the featured harpist for the 55th Presidential Inauguration. She has appeared with the Anne Murray and Connie Francis Touring Bands, with the Mambo Kings, and at the world premiere of the hit movie "Gods and Generals". She has performed for dignitaries including Prime Minister Tony Blair, Jordan's King Abdullah II, Justice Clarence Thomas, Senator Hillary Clinton, and for numerous state leaders and ambassadors including those from Great Britain, Spain, Austria, France, Afghanistan, Pakistan, Israel, and Jordan. In addition to a busy performance schedule, Melissa has maintained faculty positions at the Salisbury University (Maryland), Howard University (Washington DC) and the Holton-Arms School in Bethesda, Maryland. She is also available for private harp lessons. 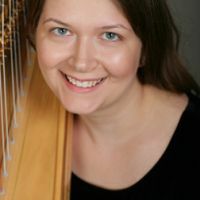 Melissa is currently serving as Mid-Atlantic Regional Director of the American Harp Society (AHS), and has previously served as President of the Washington, D.C. Chapter of AHS. Melissa holds Bachelor and Master of Music degrees in Harp Performance from The Peabody Conservatory of Music of the Johns Hopkins University in Baltimore, Maryland. While a student, Melissa was the recipient of both the Merit Scholarship and the Peabody Career Development Grant. She has studied with world-renowned harpists Alice Chalifoux and Jeanne Chalifoux, and attended the prestigious Salzedo Summer Harp Colony for 7 years.